At the end of North 17th Street, two blocks north of N. J Street in Richmond you'll find the public entrance to a S.P.U.R. project called Riverside Trails. In this area our trail is shared with at least one lodge of beavers, which are industriously working to de-forest the riverbanks. These wild creatures and many more are currently over-flown by an opportunistic colony of turkey vultures that diligently clear away any carrion appearing along the riverbank. Here also Great Blue Heron frequently glide between the trees, pausing to rest on the low branches just above the water. 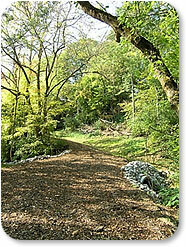 Between North 12th Street and North 24th Street Riverside Trails provides over one mile of primitive hiking trails. 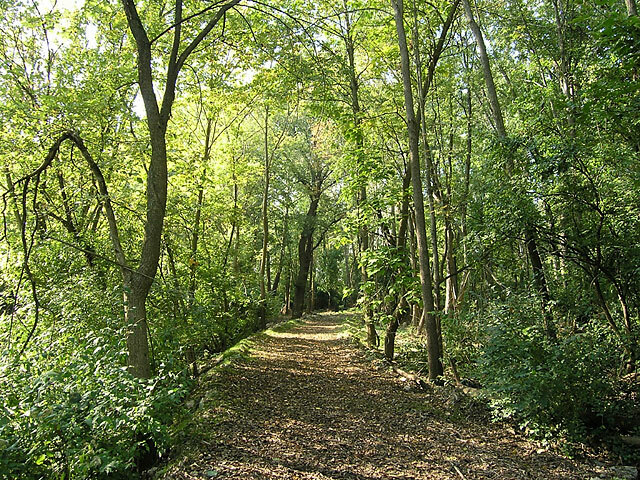 Between North 12th and North 24thth Street, the twelve foot wide half-mile trail has been cleared and has been carpeted with wood chips to deter weed growth and provide a comfortable walking surface. The riverbank trail requires at least three structures: a crossing over spring-fed quicksand, and two sets of step assists for steep areas where drainage causes trail surfaces to be slick. 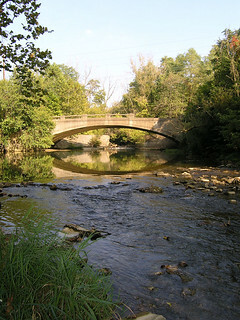 In the long term Riverside Trails will connect the Whitewater Gorge Trail to Hayes Arboretum and Glen Miller Park. Imagine a trail similar to the S.P.U.R. 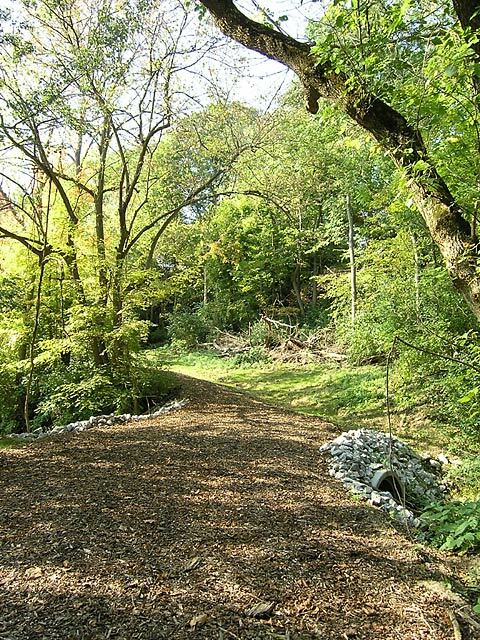 Trail at the south end of our Whitewater Gorge Park extended throughout our city. It took many years to inaugurate the Gorge Park and to finish the S.P.U.R. section of the Whitewater Gorge Trail but it was clearly worth the wait. Cut weeds, pick up litter and debris, join S.P.U.R. or simply send a contribution for Riverside Trails to S.P.U.R.. Your tax deductible memberships and contributions are badly needed and most welcome. 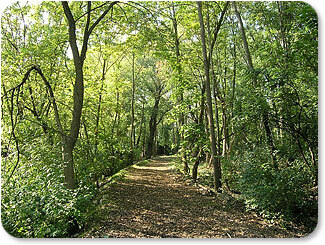 Want to learn more about the history of the Riverside Trails area? Visit Morrisson-Reeves Library's web page on Morton Lake in their "Lost Richmond" section.